Entrepreneurship takes time, effort and a lot of strategic planning. It can be difficult without the right guidance and care in developing solid ideas and plans from the very start. Here are 50 web-based resources to help entrepreneurs on their business journeys. From blogs to networks to publications, all offer the supplements to success and many offer access to proper mentorship. The Kauffman Foundation – The Kauffman Foundation is a private foundation that fosters entrepreneurs who are active in their communities. It provides grants to entrepreneurs and educators and conducts economic research, though largely in the Kansas City area where it is based. All Business – All Business regards itself as the world’s largest online resource for small businesses, providing tools to assist you in starting and growing your business. All Business has daily features on real business owners, a library of how-to articles, special reports on business trends, weekly coverage of the latest business news and more. Brazen Careerist – Through an interactive communication platform, Brazen offers online events for organizations worldwide to connect in order to network, mentor, recruit and find new audiences. Their fundamental goal is to connect those in search of professional opportunities to those who have them available, something that entrepreneurs could find successful as they grow their businesses. The U.S. Small Business Administration – SBA is the government agency that supports entrepreneurs and small businesses. It is a staple for any business owner, especially new ones. SBA provides free individual counseling and training, financing options, and advocacy as well as providing small businesses with subcontracting procurement opportunities. SBA is also a good place to start when looking to register your company. BusinessUSA – BusinessUSA is a government directed platform that allows businesses easier access to government services in order to help them grow. The website also has a training portal and useful information on starting a business, accessing financing, local events and resources. Tax information is also available through a quick, easy wizard. Bplans – Bplans boasts a large online collection of free sample business plans that is sure to help any budding entrepreneur expand their ideas. Detailed yet simple explanations of key items like a balance sheet and company overview are included, in addition to advice on planning for your business, expert panels and interactive tools. BuyerZone – BuyerZone helps owners make important purchases for their businesses by providing in-depth guides and articles on products and services. From payroll services to forklifts, you can find what’s needed to activate your business, plus industry insight on current events and trends. Startup Lawyer– Startup lawyer is a legal resource for entrepreneurs to help them sort through topics like incorporation, financing and more. With an extensive glossary of legal topics related to business and a blog that delves into more complicated matters, this resource is one that could answer basic legal questions when you’re short on cash. Chic CEO – Chic CEO is geared towards women, helping new CEOs find business information and support in one place. Valuable features like the 3-day Chic Start, which is a free online mini clinic to help in organizing thoughts and defining a new business idea, are available to subscribers. Freelancers Union – Freelancers Union seeks to bring together the nearly one in three Americans working independently. Free membership is open to any independent worker like freelancers, consultants, and contractors and membership gives benefits such as being a part of the Freelancers Yellow Pages, discounts, insurance products, the ability to become an advocate and more. StartupNation – StartupNation assists those building a business and offers content and resources with 4 major principles in mind: practicality, quality sources, community and action. Topics of advice and discussion include goal setting, steps to opening a business, accessing capital, and marketing. They also have an active forum and StartupNation radio with popular segments such as the Elevator Pitch. Young Upstarts – Young Upstarts is a collection of stories and articles for entrepreneurs and those who simply want to be more effective leaders. It spotlights young people, and the young at heart, to celebrate the delights of entrepreneurship within them. Ideaspotting, Interviews and In the News are just some of the many article categories. LAUNCH – LAUNCH is geared at supporting tech-based entrepreneurs and sparking new ideas. It provides information on the latest and greatest innovations. It includes the LAUNCH Ticket, a daily newsletter with stories summarized into 300 characters or less, and This Week in Startups, a twice weekly video show including guest speakers like Mark Cuban. Business Owners’ Idea Café – Business Owners’ Idea Café, just as the name suggests, is a unique resource with advice, business news and humor to help generate ideas for entrepreneurs. Readers can get inspired by the many successful idea café members, participate in a forum or head to any number of narrowed topics for more guides. Onevest – Onevest is an equity crowdfunding site that connects accredited investors to solid startup opportunities. They make the process easy and fair so that all kinds of investors can profit from new ventures. Entrepreneurs reap the benefits by having anyone that’s interested contribute a little, or a lot, to their business. Peerbackers – Peerbackers is a crowdfunding platform specifically designed for entrepreneurs and small business owners to reach specific monetary goals. Peerbackers also includes a feature called the Crowdcast Network, which connects crowdfinance stories and issues to the media to shed more light on the industry, which ultimately helps to attract more funders. Kickstarter – Though not specific to entrepreneurs, the popular Kickstarter is a great way to get your business, or projects funded by friends, family and well wishing strangers. Kickstarter’s categories span from art to publishing to design. Each pledge on Kickstarter is charged once the full funding goal is reached so creators can have the budget they set out to work with. SBA Loan Programs – The U.S. Small Business Administration Loan Programs are government-based loans for those who may not be eligible for traditional commercial loans. They offer general small business loans, microloans, real estate and equipment loans and disaster loans, mostly with low interest rates. Loan applications and further information about determining your needs are also available on this site. NASE Growth Grants – The National Association for the Self-Employed offers small business grants that are useful for targeted areas of need. These grants require an application and are fairly competitive. NASE also has scholarships to help pay for education, business certification or training and has a entrepreneur scholarship devoted to young people. 500 Startups – 500 Startups has funded hundreds of companies in over 40 countries and invests in companies in an expanse of categories from family tech and education, to food tech and digital healthcare to gaming and bitcoin. They have a 4-month accelerator program that comes with mentorship and shared office space to work on your business. Entrepreneur’s Organization – Entrepreneurs’ Organization is a global, members-only network exclusively for entrepreneurs. They feature peer-to-peer learning and networking, and connect members to experts to foster them in all stages of their entrepreneurial journey. Entrepreneurs’ Organization is perfect for new start-up owners looking to share challenges, receive insight and those who want access to a large directory of professionals. Young Entrepreneur Council – Young Entrepreneur Council is an invite-only community that provides members with resources to support their entrepreneurial life. Catering to members that are age 40 and younger, Young Entrepreneur Council features a virtual mentorship program called Startup Collective, which has live chats with successful business people, how-to articles, videos and e-books. Inc. Small Giants – The Inc. Small Giants community is one that focuses on connecting values-driven small businesses and entrepreneurs through networking, resources and events. The community strives to create a learning experience for its members based on the six common characteristics of unique and inspiring businesses, and support those who value the importance of being change-makers. America’s SBDC – America’s Small Business Development Center is a national network of small businesses and entrepreneurs who benefit from local chapters that help new entrepreneurs realize their dreams and help seasoned entrepreneurs remain competitive. The local arms can be found at colleges, universities and agencies across the country and many offer no-cost consulting and training. Thrive Hive – Thrive Hive’s network caters to female entrepreneurs who are interested in growing their business audience. With a directory, opportunities to mentor and teach, and ways to connect and collaborate, it is also a great way to test new products or marketing strategies. Thrive Hive charges a monthly fee for membership, which helps to keep it exclusive and active. Mixergy – Mixergy connects entrepreneurs with experienced mentors through a series of online interviews and courses. Classes on picking the right idea and how to buy ads, as well as focused stories from successful leaders who have grown their businesses significantly using repeatable methods, are examples of content you’ll find here. B-School – B-School, created by Marie Forleo, is an 8 week online training program that teaches entrepreneurs and business-minded people about tools, strategies and insights to help you make more money. Though B-school is only in session once per year, the creator’s website Marie Forleo is full of helpful videos, interviews and other developmental tools. Make it Rain – This 10-week online course is geared at helping you develop a budget, track spending, and get command of your money so you can start a business. Through the courses you’ll also be effecting social change as 25 percent of the course fees go to help build clean water wells in Africa. Copyblogger – Copyblogger is a free online resource that teaches users how to create online content that will actually impact users instead of just filling up the page. Copyblogger produces 5 – 6 articles a week with up-to-date, applicable content marketing information that goes beyond just SEO, social media, blogging and email marketing. Score – Score is a nonprofit association that helps small businesses get off the ground through volunteer mentors, tools and templates, free business counseling and low cost workshops locally at over 320 chapters as well as online. Live webinars cover topics like getting your business funded and writing a winning business plan. Entrepreneurship Corner – A product of Stanford University, ECorner is a free online compilation of resources for entrepreneurial thought leaders. Done mostly through video, topics of learning include creativity and innovation, product development, leadership and adversity, career and life balance and more. ECorner also has an abundance of podcasts centered on similar topics. CreativeLive – CreativeLive offers live online workshops which are free and in real time. Topics like small business marketing, becoming an entrepreneur and how to launch your business online are just a few examples of what is offered within their business section. Subjects like photography, video, design and more are also offered and can prove equally as useful in an entrepreneurial endeavor. Entrepreneur Magazine – Entrepreneur Magazine is a staple for any new or existing business owner who wants real solutions to challenges, as well as tips and tools to help them grow. Entrepreneur has been around since 1973 and offers low cost subscriptions as well as a wealth of information on their website and across their social platforms. Harvard Business Review – One of the world’s top ranked programs, Harvard University Business School, gives you the Harvard Business Review, a magazine and digital content on management and other aspects of business an entrepreneur will no doubt find useful. Blogs, videos, webinars, courses and books are also a part of this well-rounded resource. Noobpreneur – Noobpreneur – a term coined from ‘newbie’ and ‘entrepreneur’ – is a small business online magazine for those who enjoy learning new things about entrepreneurship and want to break away from traditional ideology. With multiple authors offering several perspectives and expertise on several business topics, Noobpreneur also accommodates those who want to share their experiences in business. Startup Digest – Startup Digest is a personalized newsletter to keep entrepreneurs connected to the topics they choose. It offers reading lists from themes like education, emerging economies, government, health, media, mobile and more. It also plugs subscribers into the local entrepreneurship community by including events about specific topics in specific cities. Fast Company – Fast Company is a business media publication designed for progressive leaders. Contributors explore business as it intersects with design, monitor the latest ideas and innovations, provide inspiration and tactics for success and have an in-house publishing lab where they do programmatic experiments. The ‘features’ subsection also delves into great topics. Global Entrepreneurship Week – Global Entrepreneurship Week is a worldwide celebration for those who launch and lead companies. Traditionally held in November, the week consists of local, national and global activities, competitions and gatherings to connect entrepreneurs, investors and mentors. The 2012 Global Entrepreneurship Week drew the attention of presidents and prime ministers from 20 countries while attracting speakers from more than 50 countries. Small Business Summit – The Small Business Summit brings together small business owners to learn from and network with experts with a focus on marketing and technology. With seminars on website design, content marketing, innovation, publicity and even a copywriting clinic, participants will learn the industry’s best practices and ways to improve their company’s performance. Ontrapalooza – Ontrapalooza is a business building conference for entrepreneurs and small business owners. Workshops will help you to jumpstart your business, while the Software Studio will help you to enhance it. Ontrapalooza also offers many opportunities to network, with a welcome reception, a VIP speaker party and farewell party and much more. LAUNCH Festival – LAUNCH Festival is all about getting your start-up off the ground. Participants will hear from experts, learn how to start a business and how to raise money. Events include Scale, a tech summit, and a Hackathon. Previous speakers have included Jeff Weiner, the CEO of LinkedIn and entrepreneur Mark Cuban. Entrepreneurs’ Organization Leadership Academy – Entrepreneurs’ Organization presents Leadership Academy to help entrepreneurs focus on the skills they need to be more effective commanders of their companies. This event is all about personal growth and transformation and learning to be prepared to be a leader. The conference takes participants from an applicant pool of responsible leaders. America’s Small Business Summit – America’s Small Business Summit is held annually by the U.S. Chamber of Commerce and unites small business owners, entrepreneurs and managers to learn and network. This summit is particularly useful for strategies for solving common small business and entrepreneurship concerns. 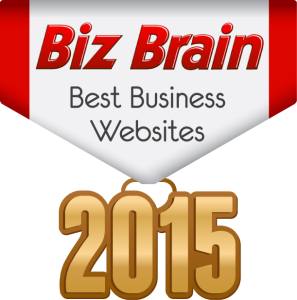 Awards are also presented to individuals and businesses with exemplary business practices. A Smart Bear – Led by Jason Cohen, founder of WP Engine and Smart Bear Software, A Smart Bear offers advice, and musings on business topics and entrepreneurship. Cohen also connects the realities of being a small start-up going up against already established, funded businesses, and how to be relevant. A podcast and Twitter page are also a part of A Smart Bear. Under 30 CEO – Under 30 CEO comes from a pair of entrepreneurs who built a six-figure travel business in under a year. They write about experiences that they believe a college degree can’t give you. In addition to blog posts, messages like “100 Must See Interviews With the World’s Most Successful Entrepreneurs” are also available through their email subscription. The Accelerators – The Wall Street Journal’s The Accelerators is a forum and discussion from a collection of about 24 startup mentors, plus others, offering advice, strategies and problem solving for new business endeavors. Mentors range from entrepreneurs to angel investors and venture capitalists and they talk about raising capital and business models and include video chats. First Round Review– First Round Review is based on the idea that those at the top of their field don’t often get the time to share their tips, tactics and what made them successful. The blog therefore focuses on putting that information out there and giving experts the outlet to directly impact entrepreneurs and thought leaders. Blog Maverick – Blog Maverick is a blog from American businessman Mark Cuban, investor and owner of several mega businesses such as the NBA’s Dallas Mavericks. He writes about his experience in business, aspects of his life such as his participation on the ABC reality competition series Shark Tank, where he invests in aspiring entrepreneurs. 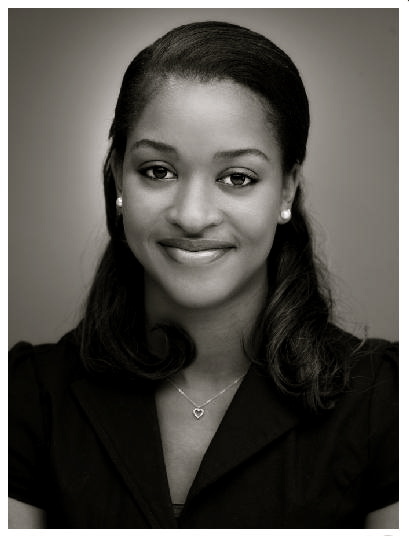 Raecine Williams received her Bachelor’s Degree from the University of Miami and is currently pursuing her Master’s in Journalism at the University of Maryland College Park. She is an intern at USA TODAY, writes for Nirvana Magazine and has worked in various capacities in her native island of Jamaica. In her spare time she runs a clothing line called Wild/Free and loves to travel.